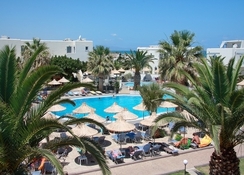 Situated in the village of Analipsis on the East Coast of Crete. 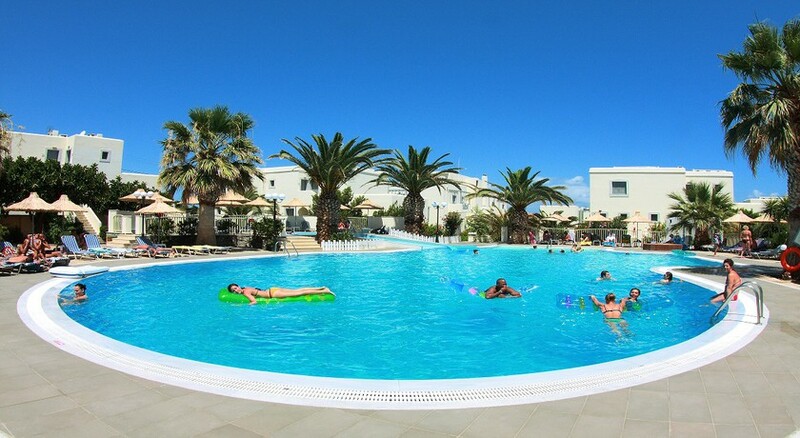 The hotel Europa Beach is located directly on the beach, 1.5 km from Analipsi centre, 6 km from Hersonissos centre, 27 km from Knossos and 22 km From the International Airport of Heraklion. The hotel facilities includes 24 hours reception, internet access, restaurant, bar, swimming pool, tennis court , volley-basket court, children´s pool, children´s playground, parking, garden and sun terrace. The rooms are equipped with private bathroom (bathtub/WC), hair dryer, air conditioning, safety deposit box (with extra charge), sat TV, telephone, fridge (on request), balcony or terrace.